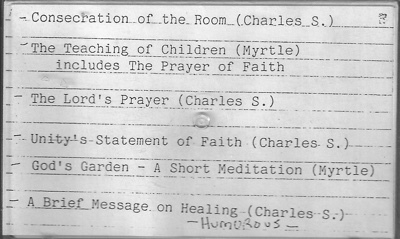 Listen to Myrtle Fillmore's The Teaching of Children, which includes The Prayer of Faith by Hannah More Kohaus. Humanity is coming intellectually to recognize and claim an omnipresent God. But the individual concept of the omnipresence of God does not enable man to make practical use of his great light. The understanding and realization of God being the very mind and life and substance of man's earthly existence must be as much of man's consciousness as are the human relationships. We must learn to know that God is spirit and that his spirit within us is a motive power which carries us forward in every department of our daily living. Children should be taught that God is spirit and that the purpose of their being is to express God. They should be trained in the faith and understanding which makes them to know that they express the spirit of God in every thought and desire and action.